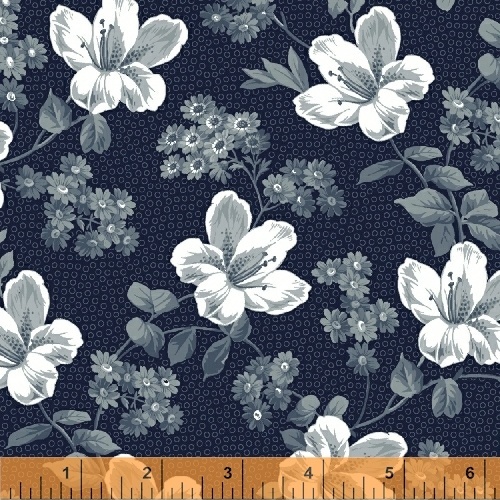 Adele is an elegant blue and white collection from Whistler Studios. With a range of small, medium and large scale patterns, it�s perfect for all styles of quilting. The slate colorway adds a touch of modern sensibility while still keeping the collection accessible to traditionalists. 21 skus. On sale October 2017. Delivery to stores March 2018.